IN1669. 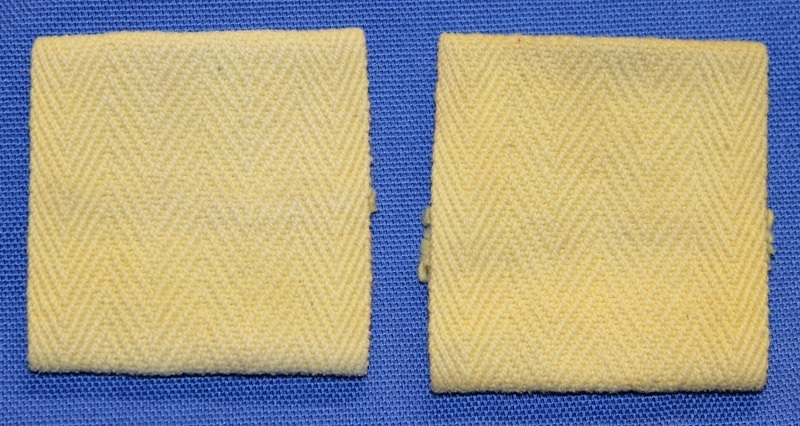 A pair of yellow epaulet slides worn by new recruits, each colour denoting a different class. IN1670. 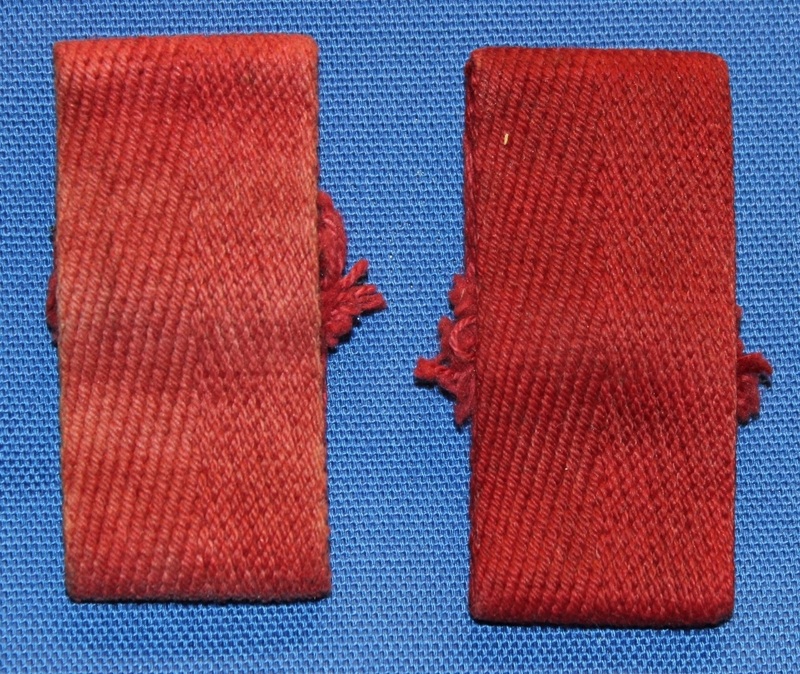 A pair of orange epaulet slides worn by new recruits, each colour denoting a different class. IN1671. A pair of thin orange epaulet slides worn by new recruits, each colour denoting a different class. IN1672. 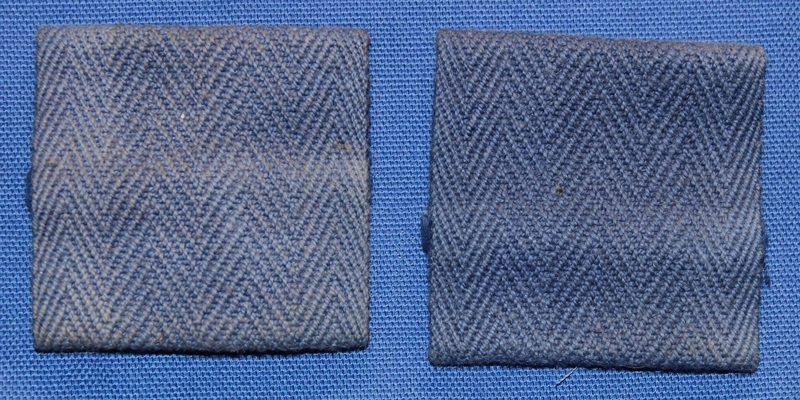 A pair of blue epaulet slides worn by new recruits, each colour denoting a different class. IN1673. 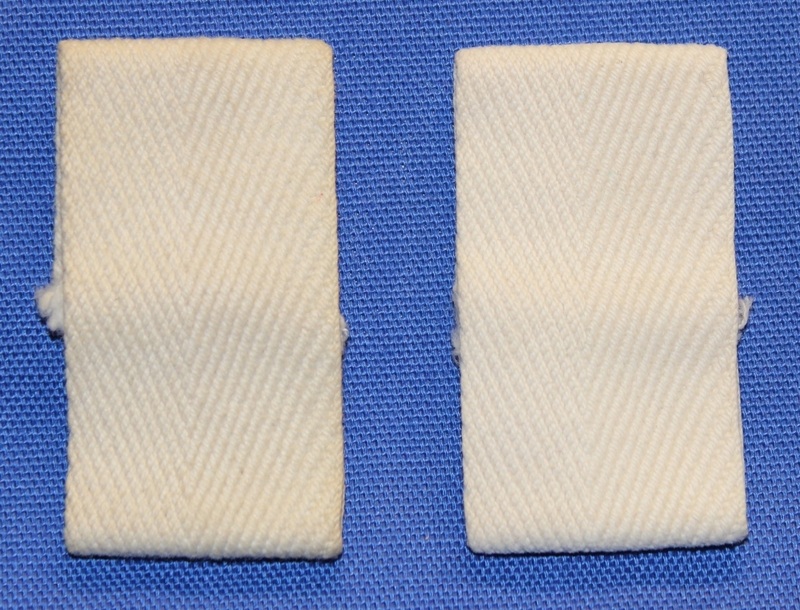 A pair of white epaulet slides worn by new recruits, each colour denoting a different class. IN1674. 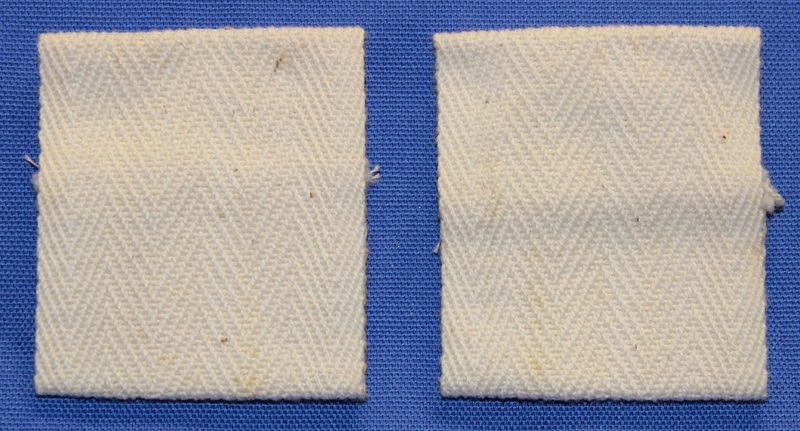 A pair of thin white epaulet slides worn by new recruits, each colour denoting a different class. IN1675. 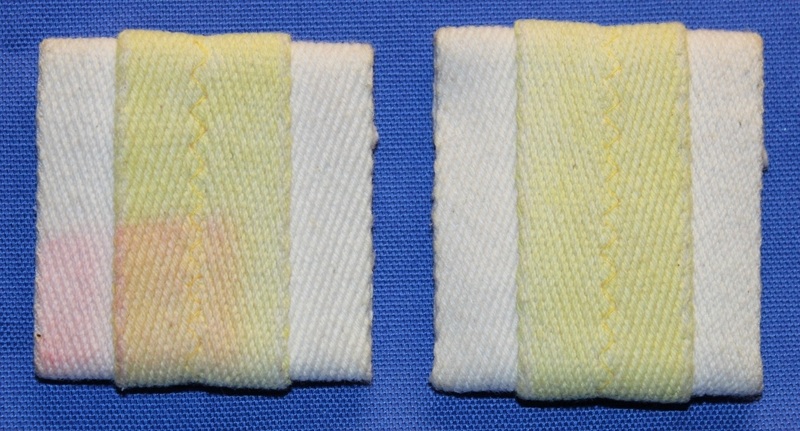 A pair of yellow and white epaulet slides worn by new recruits, each colour denoting a different class.